Definition - What does Perimetrium mean? The perimetrium, a thin external border. The myometrium, the thick and muscular middle layer. The endometrium, the inner lining that thickens and grows monthly to prepare for pregnancy. 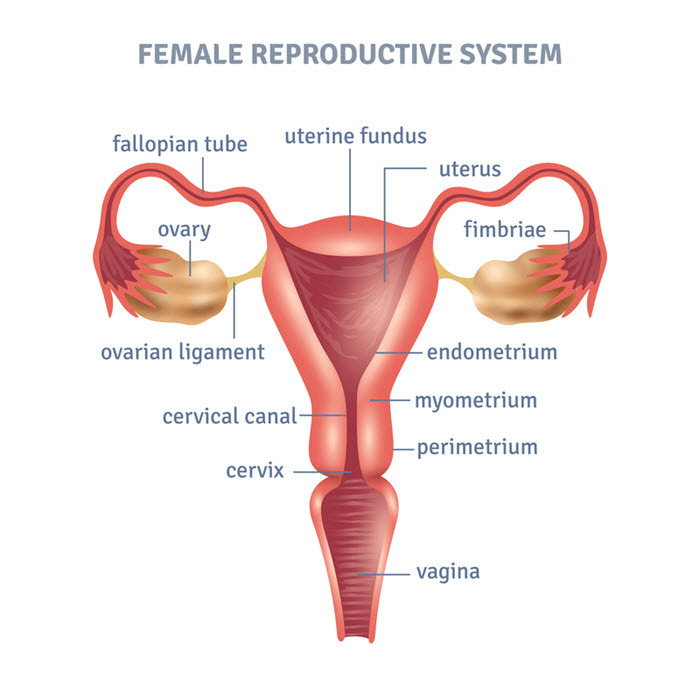 If pregnancy does not occur, the endometrium sheds during menstruation. The perimetrium may also be called the uterine serosa. The perimetrium may become impacted by a disorder known as adenomyosis. Adenomyosis is the growth of endometrial tissue that extends into the myometrium and in some extreme cases the perimetrium. Adenomyosis may cause problematic symptoms and if left untreated, or in severe cases, infertility is possible. Adenomyosis is more common women aged 35 and older, therefore treatment is based on whether or not they are considering future pregnancies.